The image I have chosen for March was actually taken on the first day of the month, while I was still in the Scottish Highlands. 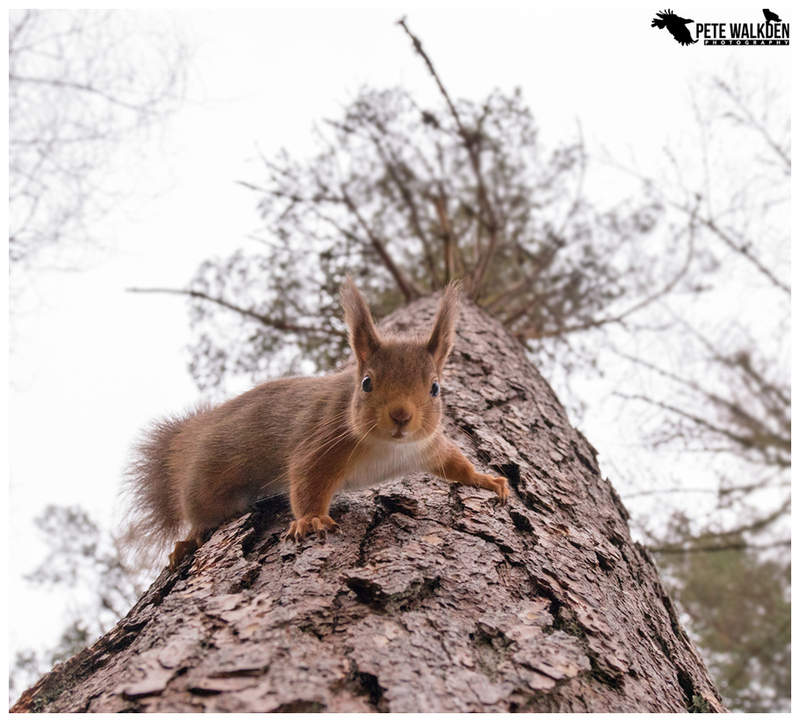 With a couple of days free after running workshops, I decided to spend some time with the red squirrels, after watching my clients enjoying the antics of these woodland wonders, and I wanted to try to get some new sorts of shots. As well as wider angle images of the squirrels sitting on bracket mushrooms, or on branches, I thought I might try to get one of a squirrel climbing down a tree trunk, towards the camera. Using a bean-bag, the Canon 7D mk2 (for its silent mode), a bit of guesswork for where the camera was pointing and focusing on, and remote triggers, I set everything up, and hoped. Ideally it would have been a sunny day, with blue skies above the tree, but the clouds had amassed by then, and I had to make do with what it was like. After just a couple of attempts, proving my idea for obtaining such a shot was working, I managed to get a few images with the squirrel in focus, and looking at the camera. Result!